A new range of number plates could generate £12m for the Isle of Man government, according to the infrastructure minister. 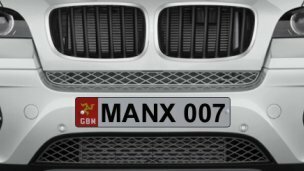 The number plates which feature the word MANX, will start from £5,000 with the more sought after numbers expected to raise about £100k. All the money raised from sales will go towards highway maintenance work. Mr Cretney MHK added: “We believe they will be very successful. “Certain plates such as MANX 007 and MANX 911 are expected to be highly sought after”.